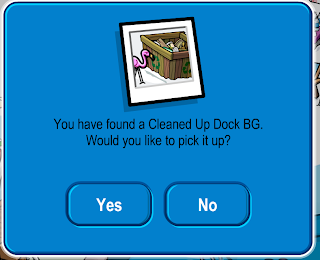 At the underwater party, if you go to the dock you will see there is rubbish in the water! Click on all the rubbish, let the plants grow and you will gain the Cleaned up Dock BG! The plants will grow and you will be asked to gain the BG. I haven't put this item on yet, have you? Leave a comment and let us know!